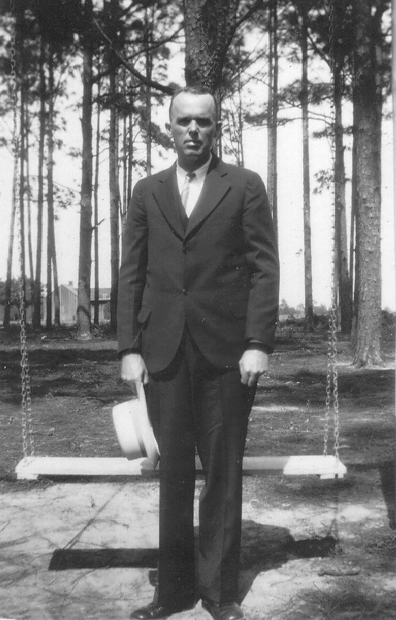 Rossie O. Knight, a son of Sovin J. Knight and Ann Eliza Allen, and grew up on his parents’ farm near Rays Mill (now Ray City), GA. 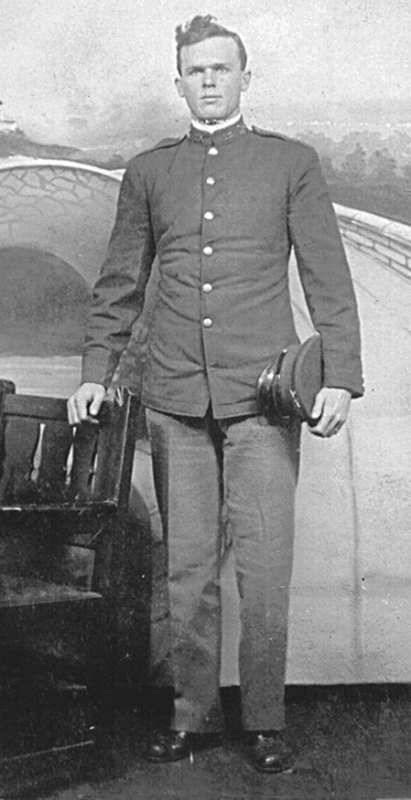 He was one of many young men of Berrien County who served in WWI. 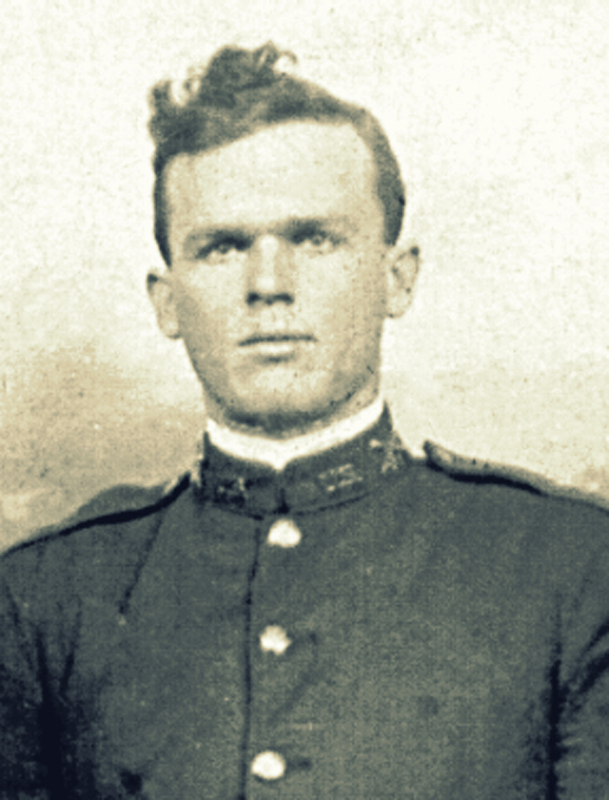 Rossie served in France with the U.S. 1st Division, where he was engaged in major campaigns at Montdidier, Marne, St. Mihiel and Argonne. After the Armistice he served in occupation of Germany at Ehrenbreitstein Fortress. 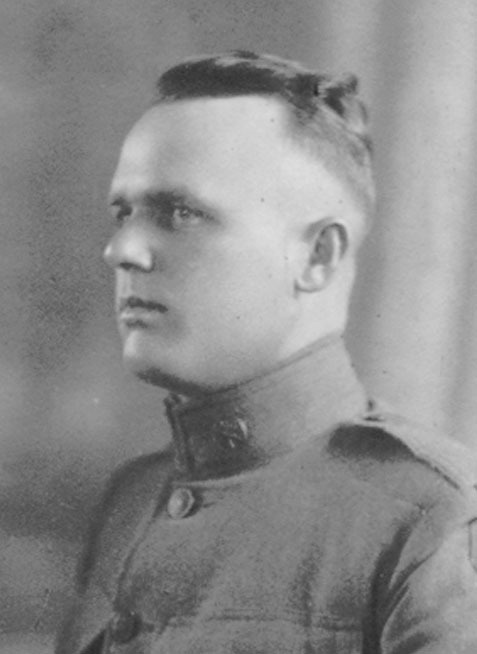 “Rossie Knight returned home after the war but was plagued with the effects of multiple gas exposures he received while fighting in France. Rossie remained single the rest of his life. He died November 16, 1963 at the age of 71. “These photos of Rossie O. Knight are very revealing. First of all there is the young Rossie with tousled hair standing tall and almost innocent in his demeanor and facial features. In the next photo, chest up and three-quarters, he is firm and self confident, ready for any challenge he is faced with, slightly older and more mature looking than the first photo. 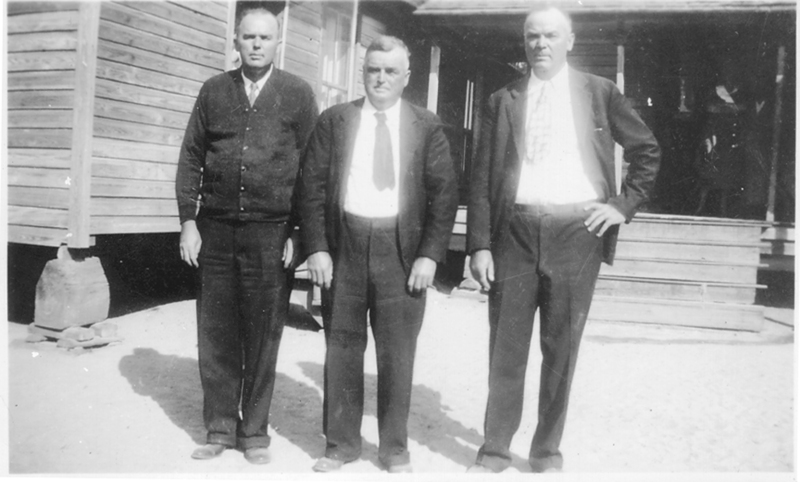 Then, almost a tragic contrast are the last two photos, one standing alone with hat in hand, the other with his two brothers, Mansfield in the center and Leland on the right. Rossie is on the left. LAKELAND- Joe Spell, 65, died at the local hospital early Sunday morning following a sudden attack suffered Saturday morning. He was born and had lived all his life in the Lower Tenth District section of Berrien County where he was a prominent farmer. Mr. Spell was a veteran of World War I and a member of the New Ramah Primitive Baptist Church at Ray City. 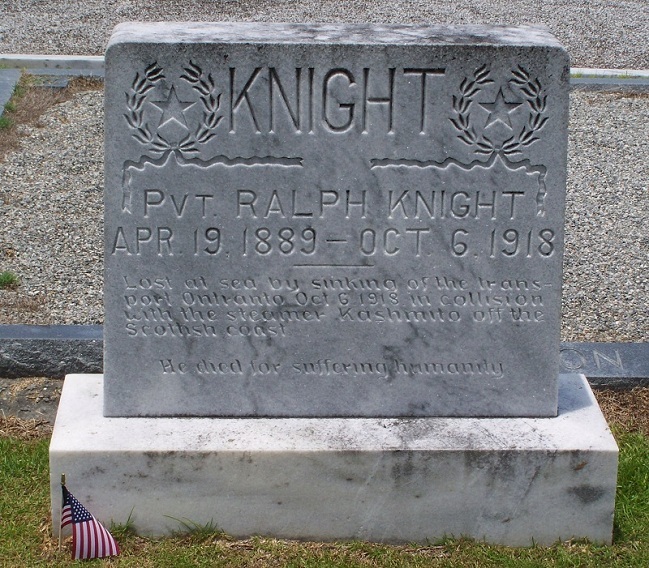 Ralph Knight of Ray City, GA registered for the WW I draft on this date, June 5, in the year 1917. According to his draft card his birth date was April 19, 1890 although his grave marker gives his birth year as 1889. Occupation: Farmer. Medium height, medium build, brown eyes, black hair. Ralph shipped out on the ill-fated troop ship Otranto. He was lost at sea in the Otranto disaster Oct 6 1918 . His gravemarker was placed at Beaver Dam Cemetery, Ray City, Georgia.